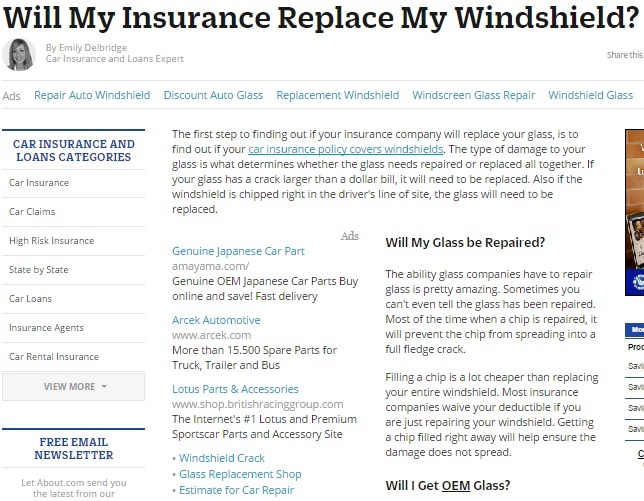 Will Insurance Cover Windshield Damage at a Seattle Auto Glass Shop? In most cases, damaged windshields and windows are considered as comprehensive claims; fully available only if you’ve previously applied for a comprehensive policy. With such a policy, the cause of the damage itself won’t affect coverage—any type of glass damage would have been covered as your auto glass expert will tell you when you bring your car to the nearby Seattle auto glass repair shop for service. Comprehensive insurance has its perks, but other drivers consider it unnecessary to an extent. Most people think that auto glass damage is mostly caused by collisions, and it is with such a clause that motorists should look into, instead. In reality, a car’s windshield and windows are just as vulnerable to damage from falling objects, fire, natural disasters, vandalism, and even sudden breaks from hitting an unwary animal crossing the road. This makes comprehensive coverage necessary, after all.